After addressing a cybersecuirty conference in London, notorious hacker 'Guccifer' shared over 500Mb of documents detailing 100,000 DNC donors contact info and donations. 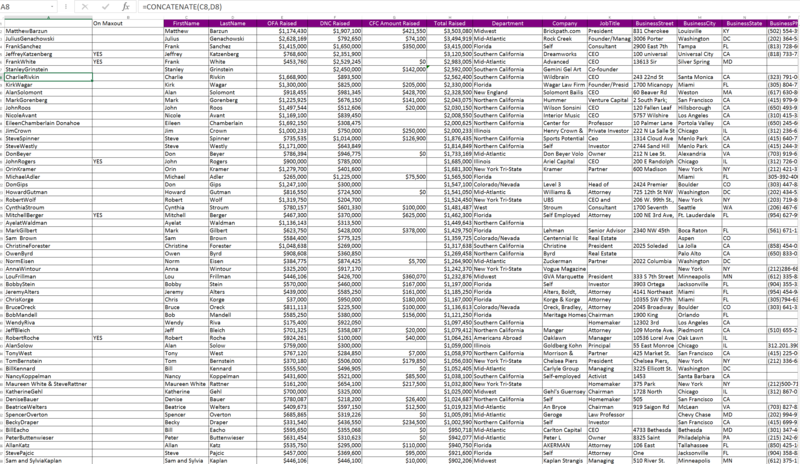 A large number of the largest donors received senior diplomatic or political positions following thge donations, ranging from UK Ambassador to Assistant Attorney General. The DNC released a statement pre-emptively claiming that this was the work of Russia (and reigniting Trump's links to Putin). Once again blaming Russia (and Trump)... As RT reports, it's not the first time that the name of Vladimir Putin has been brought up in the US presidential campaign, but this time the US president used this “argument” while openly campaigning for Clinton against Trump. The situation has become “really ludicrous and it borders on the ridiculous,” believes Gregory R. Copley, editor of Defense & Foreign Affairs. It appears Richard M. Lobo’s wife, Caren Lobo, donated $716,000 to DNC. Obama then nominated Richard Lobo for Director of the International Broadcasting Bureau. Richard Lobo was nominated by President Obama to be Director of the International Broadcasting Bureau in February, 2010, and was confirmed to the post by the Senate in September of that year. You can find Caren Lobo’s donation in this photo. Pamela Hamamoto paid DNC $605,000 then became the Permanent Representative of the United States of America to the United Nations and Other International Organizations in Geneva. 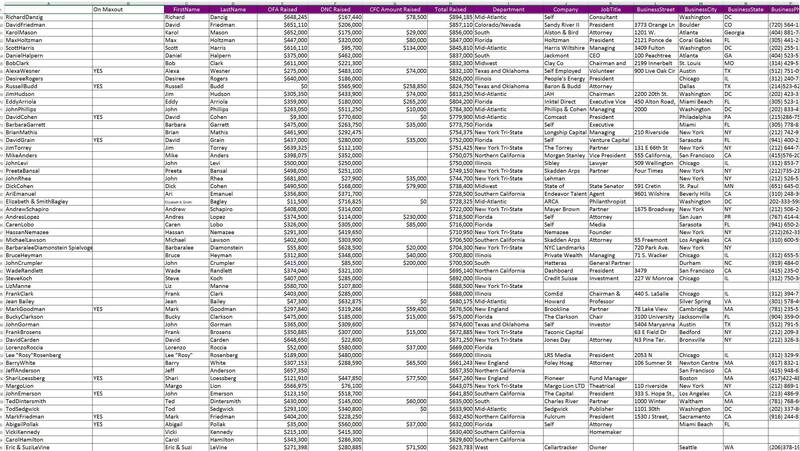 Jane Hartley paid DNC $605,000 and then was nominated by Obama to serve concurrently as the U.S. Ambassador to the French Republic and the Principality of Monaco. Crystal Nix-Hines paid DNC $600,000 and then was nominated by President Obama to the position of United States Permanent Representative to the United Nations Educational, Scientific and Cultural Organization with the rank of Ambassador. Bruce J. Oreck donated $1,136,613 to the DNC and served as US ambassador to Finland 2009 to 2015. Robert A. Mandell donated $1,121,250 to the DNC then President Obama named Mandell the Ambassador to Luxembourg in June 2011. You can find Robert Mandell’s donation in this photo (as Bob Mandell). Julius Genachowski donated $3,494,919 toDNC and served as Chairman of the FCC from 2009 to 2013. You can find Robert Mandell’s donation in this photo. Karol Mason donated $856,000 to the DNC and Obama appoints her as Assistant Attorney General, Office of Justice Programs.